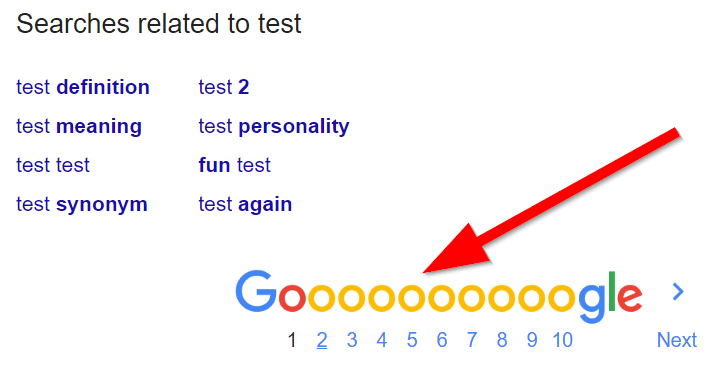 Google is by far the most popular search engine, with all the necessary features we may need. However, it has a huge disadvantage: it tracks every single thing about us, our searches, our favorite restaurants, and our darkest hopes and dreams. If you prefer a search engine that respects your privacy, then DuckDuckGo is the way to go, and you may be surprised with the tricks it has up its sleeves. 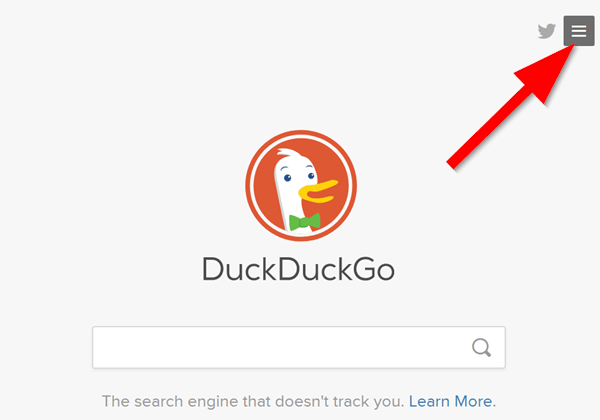 Do you use DuckDuckGo as your default search engine? The most obvious reason to leave Google Search is the privacy concerns. We have mentioned before all the ways Google can track our history, personal information, data, and so on. For some users, it may not be a big problem, but there are plenty of others that put their privacy as their highest priority. The best way to keep your searches private is to switch your default search engine. And since the other big names, Bing, Yahoo, etc., are tracking our searches as well, our best bet at the moment is the underdog DuckDuckGo. Just because it is not so popular though, it doesn't mean that DuckDuckGo lacks in features and effectiveness. On the contrary, it is a great Google alternative with an impressive number of tricks and search settings. In fact, some of them are unique, and we won't even find them in Google's search engine. 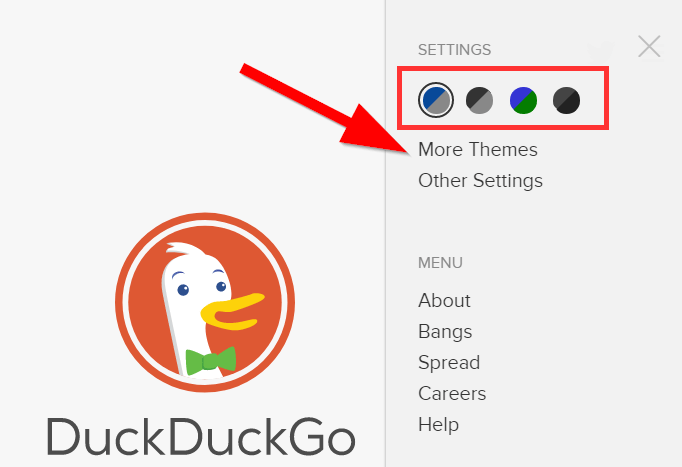 One of the most useful features of DuckDuckGo is its so-called bangs. That's how they call the ability to search on specific sites using the address bar. Of course, you can search a website on other search engines too, but you'll have to set it manually. In DuckDuckGo, all you need to do is use an exclamation mark on the address bar, followed by the supported bang you wish to search, and your desired keyword. 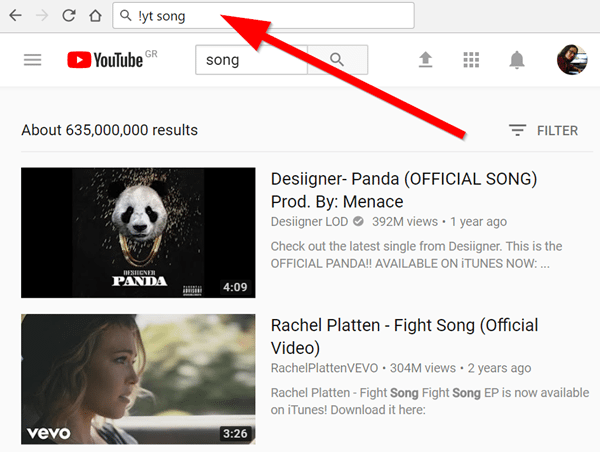 For example, with "!yt song" we will search the keyword "song" only on YouTube. At the moment, there are 9.980 bangs on DuckDuckGo, and they keep rising. 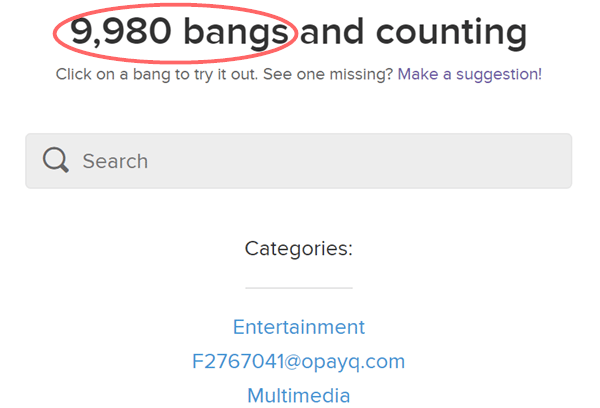 You can search for a website to check if there is an existing bang, or you can create your own bangs, even for your sites. DuckDuckGo, like Google, uses a feature to provide solutions to our searches, without the need to click on a particular result. Once we submit a search, DuckDuckGo will search on more than 100 known sources to provide us with the correct answer. 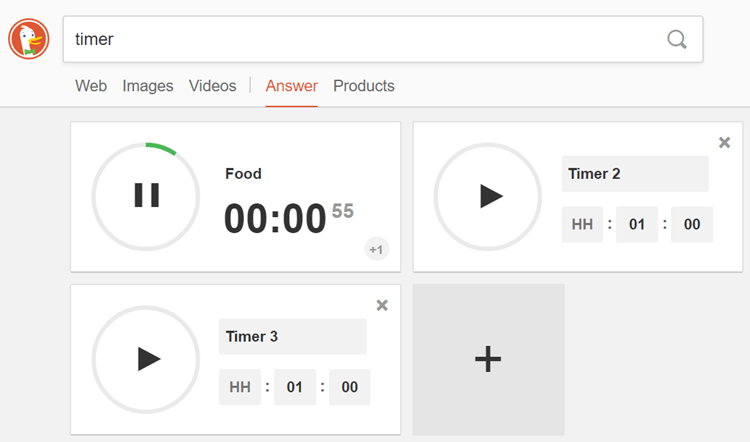 The answer will be displayed above the rest of the results in a gray background, and we can see the "Answer" tab highlighted. There are numerous uses for the Answer tool since you can search for coupons, movies, songs, and so on. Furthermore, you can ask DuckDuckGo to show you information like zip codes, the weather, synonyms or antonyms of a word, or even generate a secure password. Since there's no limit to what you can search, you may be surprised with the instant answers that will come up, and the time you may save with this useful feature. Below we are going to see some of the most helpful Answer tools. 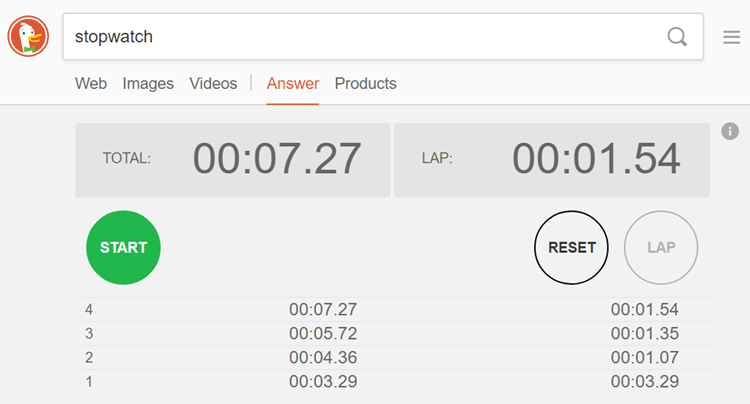 With Answer, we can also use time tools, like a stopwatch for instance. 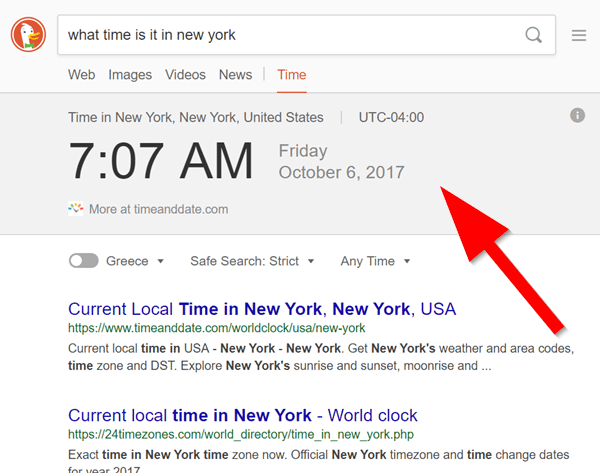 If we prefer a timer, DuckDuckGo can do that as well. The only thing we have to do is search for a "timer," set a custom name if we wish and the time of the countdown, and hit the play button. Last but not least, with the plus button we can add as many timers as we wish. Most of you already know about QR - or Quick Response - codes. For those not familiar with QR codes, they are machine-readable images that contain information about anything we like. They are similar to barcodes, with the difference that the entire image is part of the code. If you need more info on QR codes, you can always look it up on DuckDuckGo. Cameras on smartphones can read these codes through specific apps. That way, once we scan a QR code, we can read the text behind it. If it is a link, our device's browser will lead us to the data it holds. 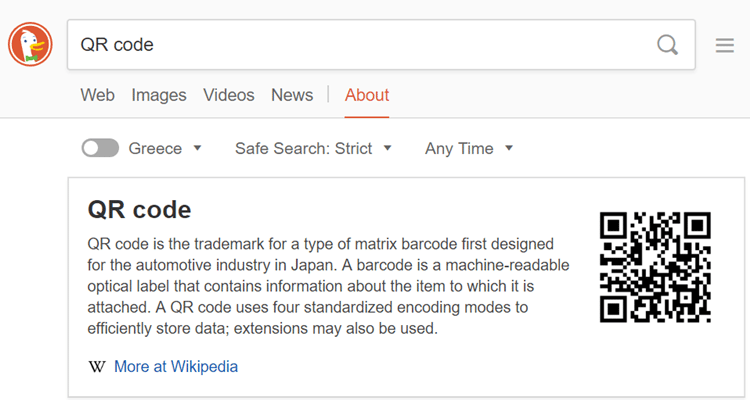 With DuckDuckGo's Answer, we can generate our own QR codes for any piece of information; we just type "qr" followed by the website we wish to mark, and hit Enter. Here's another Answer feature; in case we want to convert some text to lowercase or uppercase, we can do it with DuckDuckGo. We just need the trigger word "lowercase" or "uppercase," and the phrase we wish to convert. We can also "titlefy" our phrase, with the keyword "title case." As we can see, DuckDuckGo capitalized the first letter of every word we inserted. 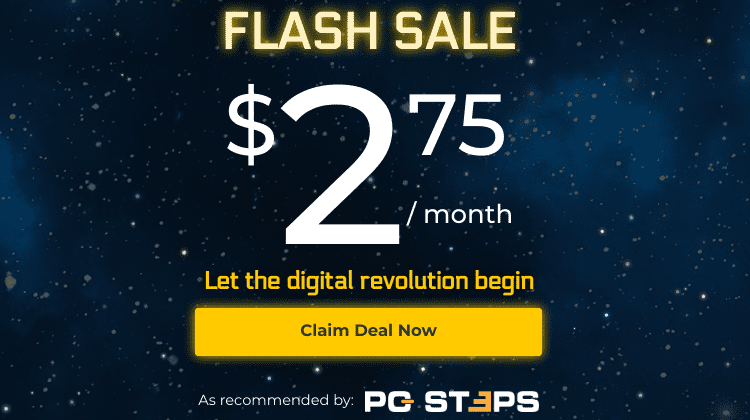 How many times have you tried to use a new program, and wished you had a cheat sheet with all the available shortcuts? Next time, consider using DuckDuckGo's cheat sheets for that purpose. Type "cheat sheet" followed by the name of the program, and you'll have all the shortcuts in the tip of your... browser. However, this feature only works with popular applications. 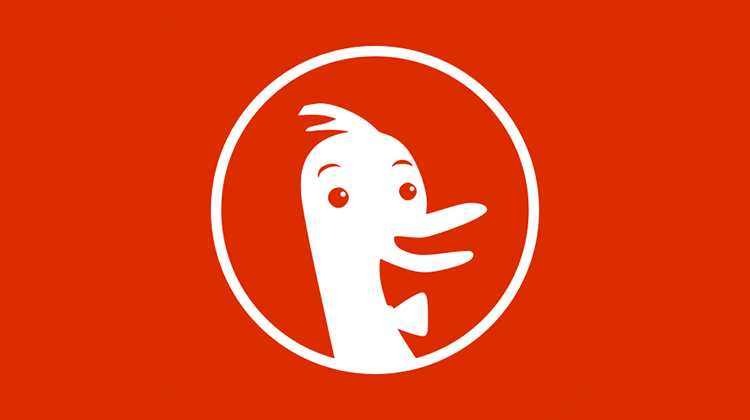 As you may have noticed, we can ask DuckDuckGo pretty much about everything, and it will provide an immediate solution. For example, we could ask if our website is down, and it would answer with specific details and ping information. The effectiveness of Answer lies in the fact that we don't have to press any extra buttons to get a result. Plus, all these results are separate from the search results, so we can ignore them if we just want to search on websites for our queries. Similar to Answer, DuckDuckGo can also provide useful information for our search queries. For example, if we type the word "computer" and hit search, we will notice a Wikipedia frame at the top of the results, with a definition for our search. The tab "About" will be highlighted automatically or we can click on it to access the information manually. Google sometimes inserts some news on the top results of a search. 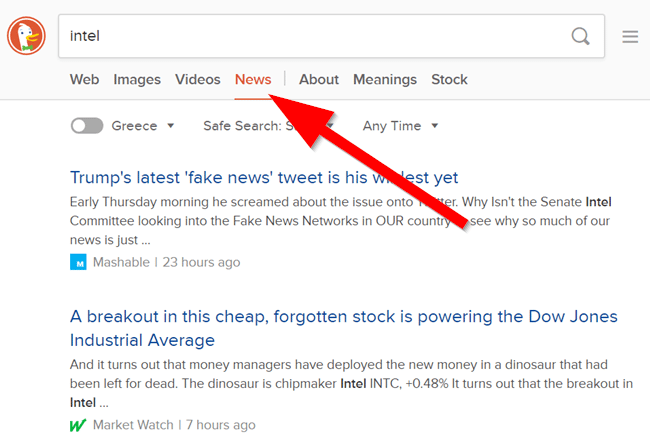 DuckDuckGo won't do that by default, but we can access the news with the relevant button. Isn't it annoying that with Google we have to click next after a few number of results? DuckDuckGo loads the next results as soon as we scroll to the bottom of the page. This feature is very convenient, and it can save us some time and effort. 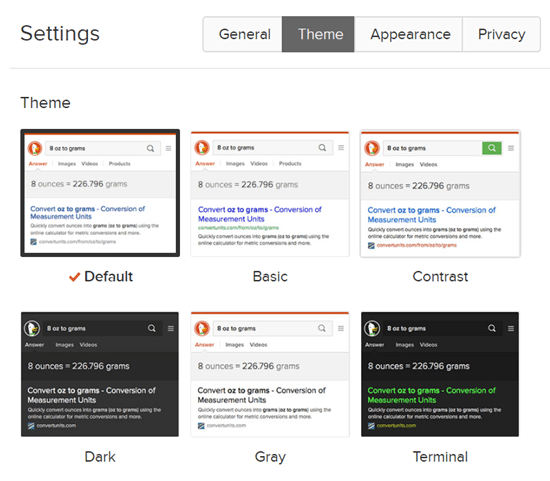 If we ever get bored of how DuckDuckGo looks, we can alter the theme and change its appearance. To do that, we click on the triple line icon on the top right of the search engine. 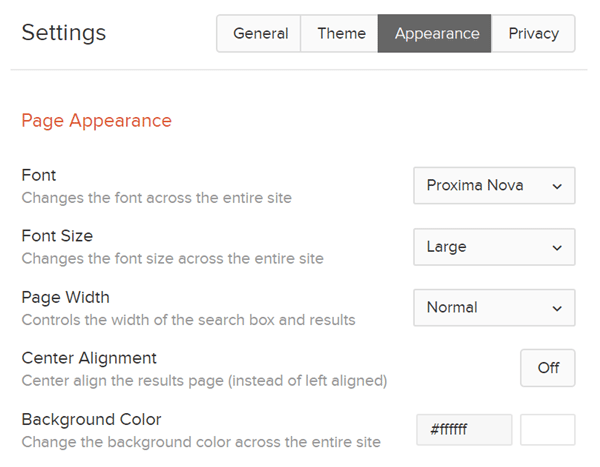 There are four themes we can use, but we can also click on "More Themes" to customize the looks even further. ...we go to the "Appearance" tab. 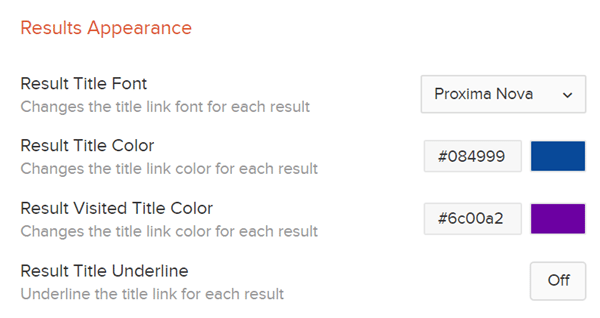 From there, we can tweak the font, adjust the background color, change the link colors, and we have access to pretty much any other visual setting. Once we finish, we can click on "Save and Exit" to save our custom settings. 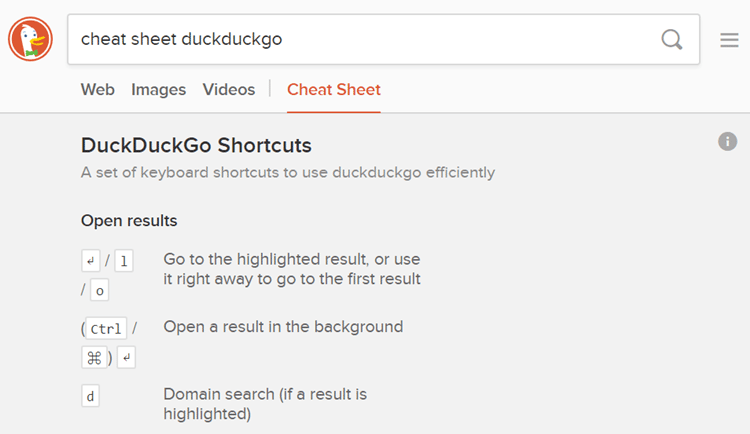 We saw that DuckDuckGo is a Google alternative that gets the job done efficiently, and provides plenty of features to improve our productivity. How about you? Do you consider switching Google with DuckDuckGo? Do you prefer any other alternatives? Or do you feel that privacy is not that important after all? 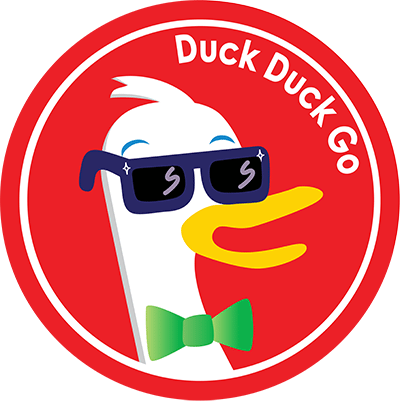 If you know more DuckDuckGo tricks, feel free to leave a comment below.